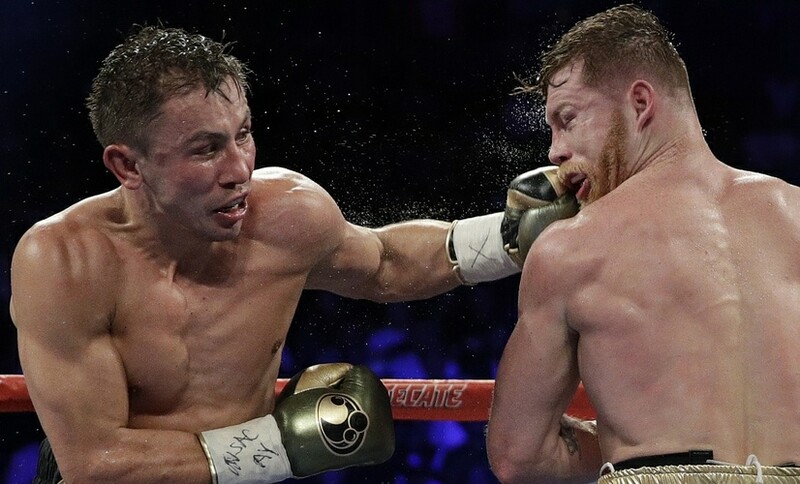 The result of the fight between middleweight king Gennady 'GGG' Golovkin and upstart Saul 'Canelo' Alvarez typifies why few people take boxing seriously anymore. It's fans are dying off. The memories of glory days are fading. MMA, thanks in no small part to fantastic match ups, stars like Ronda Rousey, Conor McGregor and WWE-style promos, is taking over. What we saw in Las Vegas was a travesty. Of a sham. Of a mockery. It was a travesty of a sham of a mockery. A riddle wrapped in a mystery inside an enigma. Golovkin dominated Alvarez. He out thought him, outfought him, outclassed him and out landed him. He was, undoubtedly, the far better man. Almost all the boxing experts concurred. Golovkin beat Alvarez. Easily. Scoring just ruined this #CaneloGGG fight. Split decision draw. Alvarez came out early. His youth and speed helped him take the first couple of rounds. Golovkin, in comparison looked slow. Midway through the fight, Alvarez had burned up quite a bit of his energy. It became clear that Golovkin's strategy was to let the kid burn himself out and take over. That's exactly what happened. Golovkin began warming up nicely, working behind a stiff power jab and landing repeated power shots to Alvarez's chin and body. The Mexican fighter was shaken up more than once. Thankfully, Alvarez's chin stood up well under fire and he never hit the canvas. I strongly suspected Golovkin would need to knock Alvarez out to be awarded the win. And I fully expected Alvarez, if he could stand under his own power at the final bell, to be awarded the decision. Thankfully, that didn't happen. Small mercies and all that rot. Alvarez, hilariously, claimed he won eight rounds out of 12. The fans, who were extremely pro-Alvarez to begin with, showered him with boos. Hopefully Alvarez will find of that Mexican pride and be shamed into accepting a rematch. At least that way, Golovkin lands another nice payday before his career ends. And hey, at least he's still undefeated and has all his belts. This is boxing. Things could always be worse. Maybe next time, there won't be three blind mice sitting at ringside, scoring the fight. And if not, remember this: It's Chinatown.